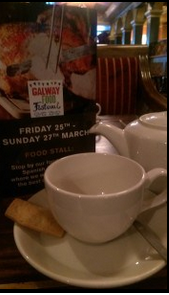 Did you get to sample the 2016 Galway Food Festival? Despite the plummeting temperatures and showers of rain, there was enough culinary excitement to heat a polar bear last weekend. We were serving our hot roast rolls at the Spanish Arch Food Village and even Roz Purcell couldn’t resist the tantalising tastes and smells from our stand. She was looking amazing as always and was in great spirits as the model turned author was in Galway to promote her book – Natural Born Feeder. The Food Festival came hot on the heels of Galway City being announced as one of two European Regions of Grastronomy in 2018. Travel writer with the Irish Independent Pól O’Chonghaile also mentioned our city in an article in today’s online edition. It comes at a choice time for a flourishing food scene. Galway is well-known for its buzzy pubs and eateries, but in recent years the city has upped its game significantly, gaining two Michelin Star restaurants (Loam and Aniar) and the Galway Food Festival, which takes place this weekend (March 24-28). We love this short film from the Spanish Arch area by Hugh Sweeney. It really captures the atmosphere. Click on the link below to view it. A few handheld slo-mo shots whilst down at the Galway Food Festival earlier. In-house at The Skeff Kitchen we were over-subscribed for our free cookery demos and we focused on great local produce for easy-to-make home dishes. While we weren’t serving alcohol on Good Friday there was lots of great food and our most cherished tipple, a cup of tea of course! We decided to collaborate with the Into The West Blogger Network throughout the Food Festival and we invited a number of bloggers to come along and sample our menu and attend our free cookery demos. A big thanks to the bloggers who sampled the taste of Homemade @ The Skeff, we loved reading your blog posts. 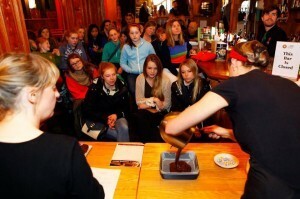 We kicked off the first of our three cookery demos with breakfast baking ideas. Baking is so popular right now and I don’t think anything beats the smells of home-baked bread from the oven. Our Food Manager Ashling Dudley was on hand to talk and indeed walk us through her favourite bakes. 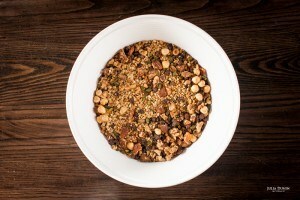 Laura founder of Dairy Free Kids came along for breakfast with her two sons and found that the allergen code on the menu and the range of alternatives for dairy for her boys made it an enjoyable and stress free experience. Read her review here. The menu is traditional breakfast fare, full Irish breakfast, mini Irish breakfast, American style pancakes, bacon and cheese scones, vegetarian breakfast and a selection of pastries. I was very happy to see numbered allergens on the menu and each item on the menu had numbers of which allergens it contained. This is exactly what we provided and blogger The Beauty Kemple can testify to this! Read her full foodie blog post here. We were delighted to read Amie’s blog post and to re-connect her with our great atmosphere and friendly service. Read the full blog post here. The Skeff Late Bar has long been a regular place that I have gone in for lunch as it is so central, the food is good and since it is such a large venue we can normally find a seat! It certainly is called Galway’s Meeting Place for a reason.The bar itself is established since the 1850’s and I still think as warmly now of the place as I did 10 years ago. 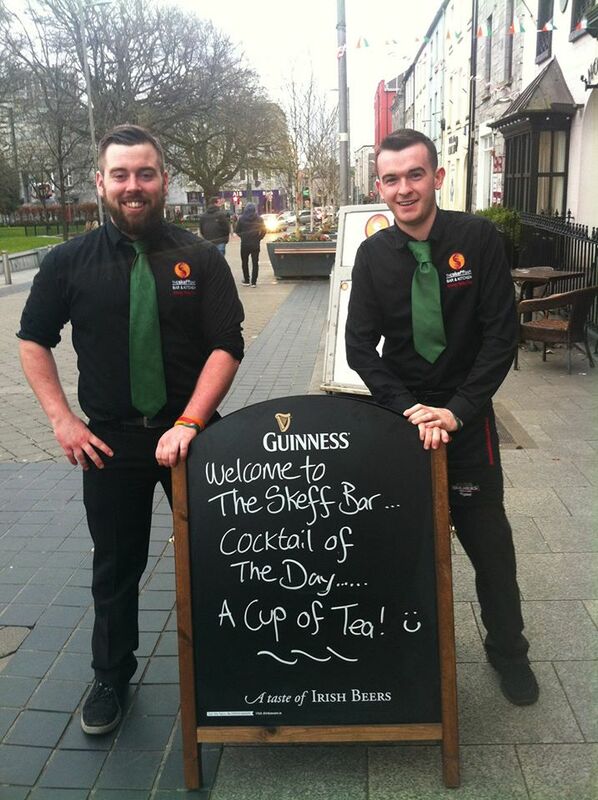 Want to keep up to date with events @ The Skeff simplY email us to info@theskeff.ie and we WILL keep you updated!